Gold climbed marginally for a second straight day Wednesday. Gold prices for December delivery advanced 50 cents to $1,771.70 an ounce on the Comex in New York after gaining 60 cents on the previous day. Prices ranged from an intraday low of $1,764.20 to a high of $1,781.80. Support came, analysts noted, from stimulus news out of the Bank of Japan. "Gold likes the announcement out of Japan," Frank Lesh, a trader at FuturePath Trading in Chicago, said in a telephone interview relayed on Bloomberg. "People are concerned that this wave of global easing will stoke inflation." The Bank of Japan eased its monetary policy by adding 10 trillion yen to a fund that buys assets. Silver for December delivery dipped 13.0 cents, or 0.4%, to settle at $34.588 an ounce. Prices traded between $34.320 and $35.025. Platinum for October delivery added $4.10, or 0.3%, to $1,640.40 an ounce, ranging from $1,621.00 to $1,647.00. Palladium for December delivery climbed $5.70, or 0.9%, to $673.05 an ounce, moving between $664.00 and $676.80. 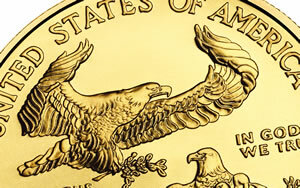 Sales of U.S. Mint gold coins jumped by 6,500 ounces Wednesday to 45,000 ounces for September. Another 3,000 ounces and sales will match those from the entire month of August. Demand was also a bit stronger for bullion silver coins as compared to Tuesday. U.S. Mint distributors ordered 57,500 ounces. The following grid offers the latest daily, September and year-to-date bullion sales as published by the U.S. Mint. Sales figures above are in the number of coins sold, not in the amount of ounces sold.